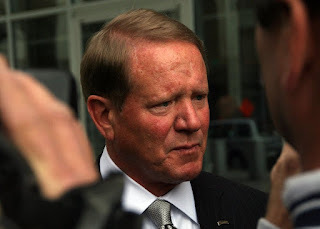 In this post, I wrote about Douglas Kelley’s filing with the Minnesota Supreme Court. First, I’ll admit that I’m not a lawyer. That being said, I’m capable of connecting dots, which is what this lawsuit is about. It’s important to remember what the Court said in their initial ruling. They said that a) the line-item veto was constitutional, b) Minnesotans had the constitutional right to 3 fully-functioning branches of government and c) constitutional provisions can’t be used to accomplish an unconstitutional result. The Legislature’s attorney, Douglas Kelley, wrote in his filing that “most of the LCC’s funds are encumbered or are needed for other purposes. If the House and the Senate use the LCC’s money for their operations, the LCC will not meet its obligations. Second, procedural requirements must be met to access the funds. Third, the LCC maintains discretion over whether to transfer the LCC’s funds to the House and the Senate.” Using the Supreme Court’s own benchmark that Minnesotans have the right to 3 fully-functioning branches of government, stripping money from LCC operations to the Legislature’s operations necessarily means that the LCC’s operations won’t function as required by Minnesota statutes. Hypothetically speaking, if the Court rules in Gov. Dayton’s favor, the Office of Legislative Auditor, aka OLA, might get shut down, thereby meaning that there wouldn’t be anyone conducting oversight on the Executive Branch. It’s also true, hypothetically speaking, that if Gov. Dayton decides that he won’t sign a bill funding legislative operations, the office of Revisor of Statutes would close. If the Court rules in Gov. Dayton’s favor this time, they will have given the executive branch a tool that the governor could use each budget session to get everything they want. All the governor has to do is line-item veto the operational budget for the Legislature and they’d be put into a compromised negotiating position. Legislative Reference Library: $1,622,000 the first year and $1,445,000 the second year, with $177,000 in the first year being for a digital preservation project. It’s difficult imagining the Supreme Court essentially wiping out these specific appropriations. Anything’s possible because Gov. Dayton has done his best to stack the Supreme Court with DFL political operatives. Still, the Court painted itself into a corner with its initial ruling. Finally, it’s important to remember that this Court hasn’t been a portrait in courage. They’ve tap-danced on the head of a pin to avoid making a ruling on the constitutionality of Gov. Dayton’s actions. Let’s hope I’m right in saying that the DFL will always do the right thing … when it’s the only option left. 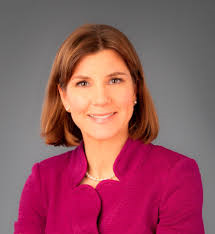 According to this article, Minnesota State AG Lori Swanson “plans to join suit against Trump over ending DACA.” If she joins that lawsuit, she’s guaranteed to lose. That isn’t just my opinion. It’s Eric Columbus’ opinion, too. MPR’s article says “The lawsuit filed Wednesday says rescinding DACA will injure state-run colleges and universities, upset workplaces and damage companies and economies that include immigrants covered under the program.” It’s worth noting that isn’t a legal argument. It’s a political argument. That should tell people everything they need to know about Swanson’s motivation in joining the lawsuit. Further, the argument is irrelevant. Even if everything they say is accurate, it’s irrelevant because President Obama overstepped his authority in implementing DACA. That’s the only thing of any importance. More than anything else, this lawsuit is an attempt by Democrats to make a political case and score political points. It fails on both counts. Does anyone think that voters will walk into a voting booth in November, 2018 and say ‘I can’t vote for the Republican because these attorneys general filed a lawsuit’? It’s time for Ms. Swanson to admit what Minnesota voters know — that she isn’t a primetime player. During his testimony, Jim Comey admitted that President Trump had the right to fire Comey. Comey also admitted that President Trump had the right to instruct the then-FBI Director to stop his investigation into Gen. Flynn. We know from this transcript, during Sen. Rubio’s cross-examination that Sen. Rubio said “He said, ‘If one of my satellites’ — I imagine, by that, he meant some of the other people surrounding his campaign — ‘did something wrong, it would be great to know that, as well”? At that point in Mr. Comey’s testimony, it’s pretty clear that President Trump wasn’t interrupting the FBI investigation. Later in Mr. Comey’s testimony, Mr. Comey admitted that he’d sent some information to friend of his so his friend could leak the information to the NYTimes and trigger the appointing of a special counsel. I’m questioning Mr. Comey’s integrity because he’s testified that President Trump acted within his authority when the president terminated Comey and because the required elements of obstruction don’t exist. Ben Domenech’s article highlights the media’s war against President Trump. This isn’t surprising. It’s just disgusting at an unprecedented level. The only thing that’s disgusting at a more unprecedented level is the hyper-partisanship in Pinheadville, aka college campuses. Hours later, Ms. Borger had to eat crow. Comey didn’t dispute President Trump’s statements. Ms. Borger’s statement was proven verifiably false in front of 20,000,000 people. With all due respect to Ms. Harf, that isn’t difficult to believe considering the constant dishonest bombardment by the Democratic Party, especially the media wing of the Democratic Party, aka the MSM. It’s time for Robert Mueller to close shop and report that making foolish statements isn’t a crime, much less something worthy of high crimes and misdemeanors. Rachel Stassen-Berger’s article highlights two frightening facts. First, it highlights the fact that Gov. Dayton doesn’t take his oath of office seriously. 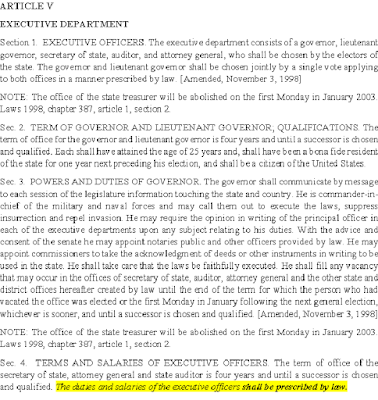 In his oath of office, governors swear to protect the state and federal constitution. When asked “Thursday if he believes he signed an unconstitutional law, Dayton said, ‘It’s fine with me if they (the Supreme Court Justices) decide that. '” In other words, Gov. Dayton doesn’t have a problem if the Minnesota Supreme Court rules that he signed a bill that’s unconstitutional. What part of the “duties and salaries of the executive officers shall be prescribed by law” doesn’t Ms. Otto understand? Are we to believe that the duties of the State Auditor are defined by state law but that the duties of those that work for the State Auditor are defined by the Minnesota State Constitution? If the Constitution defines the auditors’ responsibilities, which article and which section are those duties found in? 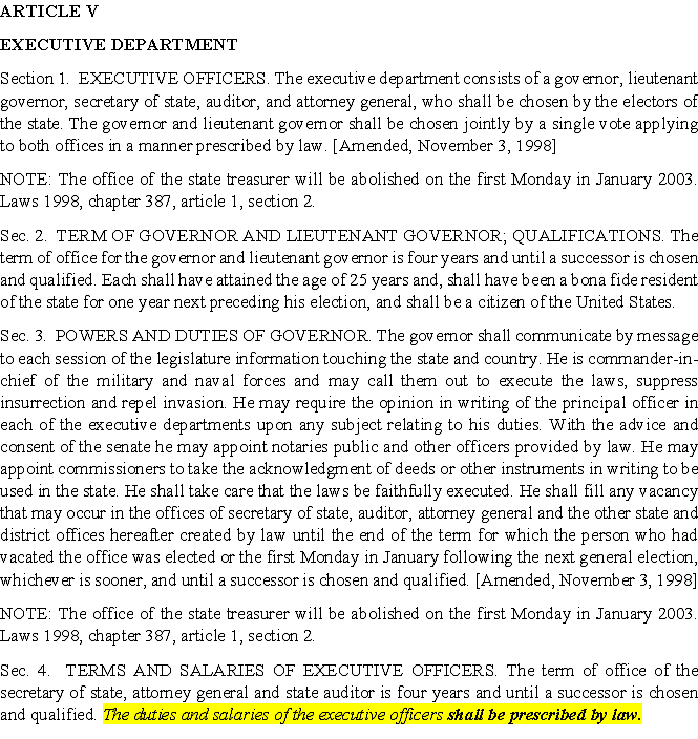 Simply put, Minnesota’s Constitution established the Office of State Auditor, aka the OSA. That’s indisputable. It’s equally indisputable that the duties and authorities of the OSA aren’t spelled out in the Constitution. That’s because they’re assigned by the legislature and approved by the governor. That’s what happened in 2015. If the Minnesota Supreme Court rules that the 2015 law is unconstitutional, the justices that ruled it unconstitutional should be impeached and replaced with jurists that are faithful to the Constitution, not to the DFL. Let’s hope it doesn’t come to that. Let’s hope that this is so straightforward that it’s a unanimous ruling against Ms. Otto. Otherwise, the Minnesota Supreme Court would essentially rule in the DFL’s favor the vast majority of the time. That isn’t justice. That’s hardball politics. After Marilyn Mosby dropped the remaining charges against the 6 Baltimore police officers, it didn’t take long for the other shoe to drop. 5 of those 6 officers have filed a civil lawsuit against Ms. Mosby. However, in an affidavit unsealed in the course of Rice’s civil lawsuit, Cogen claimed he in fact did not conduct the investigation. He said he merely signed off on the investigation completed by the state’s attorney’s office which ultimately led to the charges filed against the officers. The situation is perfect for the plaintiffs. They can approach Cogen and offer to drop his case in exchange for his truthful testimony. Showing that Mosby’s prosecutorial team embellished the truth will strengthen these officers’ lawsuit. The remaining charges against the officers in the Freddie Gray case have been dropped. That’s what the Baltimore Sun is reporting. UPDATE: Fox is now reporting that Marilyn Mosby failed to get a single conviction in the Freddie Gray case.